Interests:20 years old Guy living in sweden and just bought My dream car! Red white Shelby Gt500 2008! This aluminum fuel door has 'Shelby" engraved on it. edit: as noted below this item is no longer carried by American Muscle. AmericanMuscle no longer carries the Shelby Anodized Fuel Door (05-09 All). Please check out 2005-2009 Mustang Fuel Doors for an updated selection. Thanks i know That they dont sell anny more and i dont know Why? I know even Shelby performance were selling these before! My 08 red white Shelby have so manny other Shelby performance parts so i would realy like to have a matchning Fuel door for her....... ill keep on serching ! I would like to know why also. Shelby discontinued so many parts before I had a chance to buy them. Only fuel doors available are for wide bodies now. For a little while they were working with Silver Horse Racing, their parts are HIGH quality, I'm not sure what happened with that. Might want to give them a call and see if they have one available??? 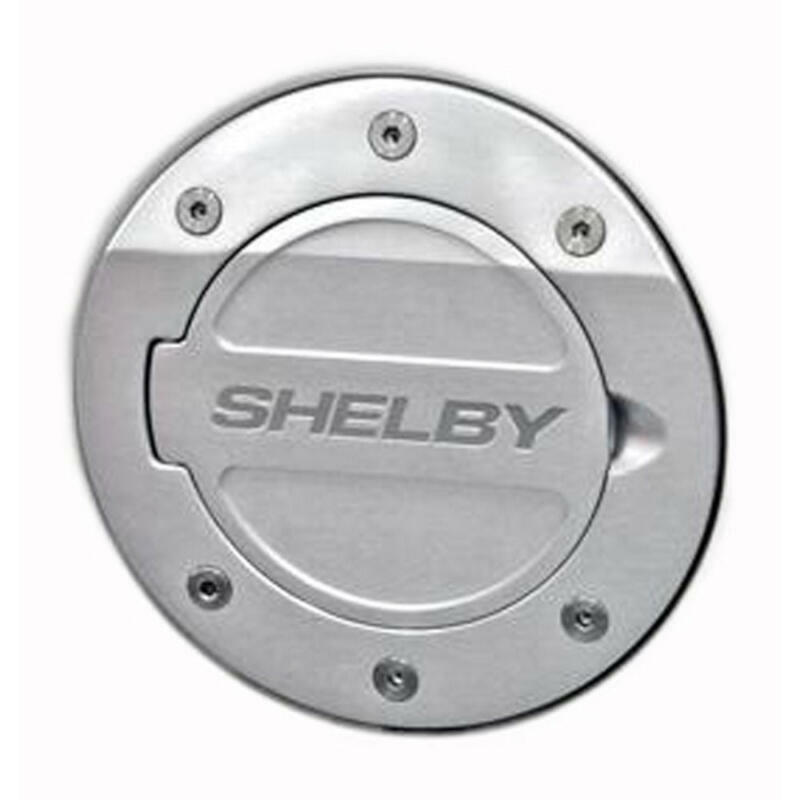 While it is always nice to buy Original , If someone is hell bent on having an aluminum Fuel Door with “Shelby” or “GT500” on it he can always buy a plain one (like in post#4 above) and take it to a local machine shop or engraver and have it laser etched or machined. Some shops only charge a small set up fee if you provide them with a sample, or digital file of what you are trying to do. Thanks for the tips guys?? For your year, I see them on Ebay at times. Very expensive. Obviously a market for these parts. Search for "drake billet fuel door" on ebay and you find the correct base door. $110. Then get "Shelby" engraved. Where would one find someone to engrave the Shelby so that it would look great not tacky. I have a Black Super Snake one if anyone`s interested..